In the end, Reyes emerged the victor of this fight with a split decision win. Not everybody, however, agreed with the scoring for this bout. Some fans, and Oezdemir himself, felt the judges got it wrong. Speaking on the latest episode of BJPENN.COM Radio, Dominick Reyes opened up on this bout, agreeing that it was definitely a close one, but assuring that he did enough to earn the W.
“I mean it was a tough fight,” Reyes said. “Throughout the fight I was avoiding his power. I was touching him from distance, in and out. I wasn’t as active as I would have liked to have been, but I did enough and I got the win. He’s a hell of an opponent. 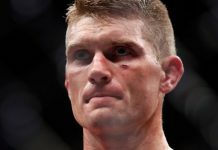 “He was more hesitant than I anticipated, and he was a little bit quicker than I anticipated and it seems he trimmed down a bit for the fight,” he added. “Which is, you know, awesome for him. While Volkan Oezdemir had some success in the early portions of this fight, Dominick Reyes seemed to be gaining more control as the bout wore on. He believes that trend would have continued had they not been confined to three rounds. In the end, Oezdemir proved to be the toughest opponent of Reyes’ career thus far, and Reyes says he learned quite a bit from the fight. “It doesn’t always go your way, things aren’t always going exactly to plan, you’re not always feeling 100% on your game, and the flow’s not happening for you,” he said. “But you adapt, you find openings, you make decisions and you go for it. 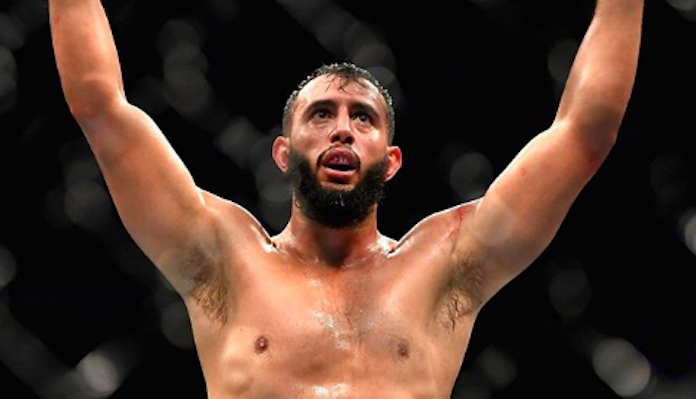 While this fight wound up being incredibly close, Dominick Reyes says he’s not particularly interested in an immediate rematch. Not yet, at least. Instead, Reyes is hoping to get one more fight in, and then hopefully contend for the light heavyweight belt. Ideally, he’d like his next fight to be a five-round, main event affair. “Thiago [Santos] is next [for the title],” he said. “I think I need one more, and I felt like I did need to finish in this fight to be next.